This rich, timely, and highly original portrait of the Buddha explores both the archetypal religious icon and Buddha the man. 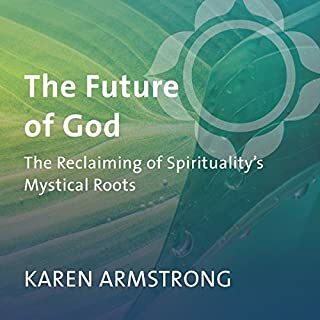 In lucid and compelling prose, Armstrong brings to life the Buddha's quest, from his renunciation of his privileged life to the discovery of a truth that he believed would utterly transform human beings and enable them to live at peace in the midst of life's suffering. Buddha also expands to focus and meditate on the culture and history of the time, as well as the Buddha's place in the spiritual history of humanity, and the special relevance of his teachings to our own society as we again face a crisis of faith. 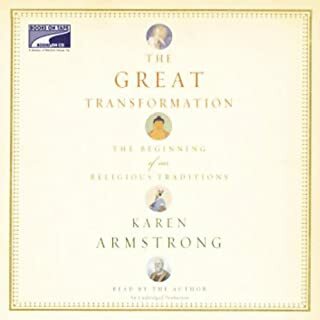 ©2001 Karen Armstrong (P)2001 Books on Tape, Inc.
Karen Armstrong's book Buddha is a treasure for anyone interested in learning about the Buddha from simultaneously a historic, an anthropologic, a philosophic, a spiritual, and an esoteric perspective. The book's unfolding traces an easy to follow spiritual and esoteric contextual time-line that covers the human condition from known history. 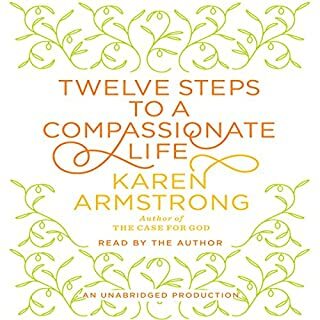 Karen Armstrong narrates and explains a very plausible version of the Buddha's life and demonstrates a sensible mastery of the Buddhist Teachings. I remain grateful that her book was made available in audio format. I will buy the printed version as a companion to the audio format. I was also absolutely delighted with Kate Redding's reading of this book. Ms. Redding has captured the spirit of this book in her reading. 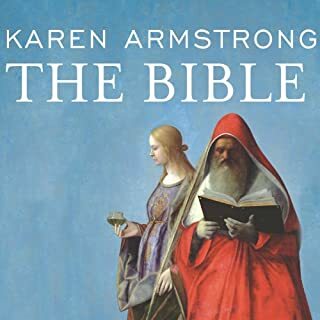 I'm looking forward to listen to and then read Karen Armstrong's other books. Too bad that Ms. Redding isn't reading her other books. Ms. Armstrong and Ms. Redding thank you so much for touching my soul and mind in my quest for spirituality. 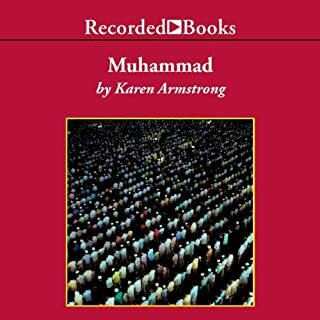 Karen Armstrong, the eminently readable writer of history becomes the eminently listenable with this narrator. Excellent narration. "Eminently readable" in no way demeans the abilities of the author as historian. What she does bring to the stage is a history like one written by Barbara Tuchman which provides a fresh and interesting eye on history without the pendantic mumblings of (too often) the traditional historian. Given the huge number of books on the religion, Buddhism, the insights of a religious hisorian like Armstrong are especially useful. Also recommended is her "Jerusalem" (uncertain if available in audio format). I've read several books on Buddhism and looked forward to Armstrong's presentation of the founder. I wasn't disappointed. As before, Armstrong combines both scholarship and empathy in her portrayal. She respects the limits of our knowledge and acknowledges where a westerner might encounter problems. Particularly useful to me was her account of yogic practice at the time of the Buddha and the role it played in his thought. 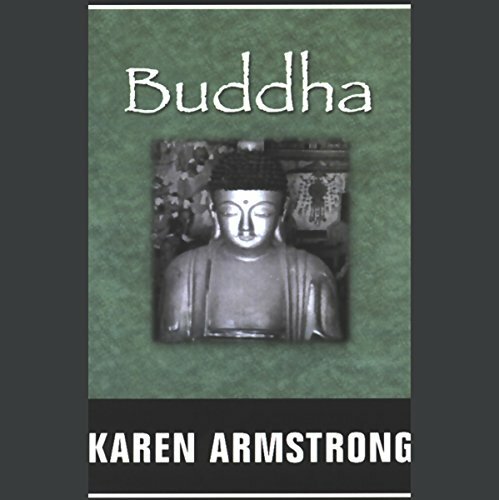 Armstrong must have dedicated lots of time to this book, because she sets the Siddhartha story in a historical context with careful coverage of historical sources and their limitations (no written record of Buddha for about 100 years after his death). First is a summary of the source of her information with interesting insights. Next she covers the life story. Along with way, when describing a key event she will follow up with discrepancies in different texts that cover the story, similar to comparing the gospels. The reader has a pleasant voice. 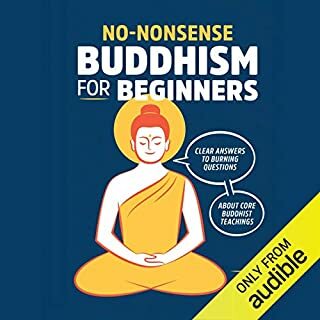 I thought this book was difficult to follow in audio form. I had to purchase other reference materials to clarify what I read. Fascinating look and the life and teachings of the Buddha -- fawning, yes, but not excessively so. Does a nice job of placing the development of Buddhist doctrine in its historical context. Some flaws (e.g. unnecessary, self-consciously academic word choices (using the word "ratiocination" (when it could be easily substituted by something more accessible) springs to mind) -- and the narrator's near-laughable, stiff pronounciation of Indian names and words. That said, the book is worth the attention of anyone interested in Buddhism and/or religious history told in its evolving historical/cultural context. As a lifetime Buddhist, I am impressed by the accuracy of this rendition of the life of Buddha.. It's obvious that a great deal research was done by the author. She is thorough without overwhelming us with detail and her use of the English language is masterful. The narrator's voice made this difficult to listen to. Very monotonous, and it seemed like the enunciation was somehow excessive. Playing the book at 1.25x speed made it more manageable, but I only discovered this when I was 75% through. The contents of the book were hard to follow, possibly due to the narration, but it also seemed rather dry. I might have to give it another listen. A well written, insightful and illuminating biography of Gotama and his teachings. A must read for anyone interested in Buddhism. The content is good. The book as a historical is probably a good read. The speaking manners of the narrator...with clipped or stilted way of talking is annoying. She pronounces the Indian words very carefully with an even more exaggerated stitled manner. Mentioning the Indian translation of the words is fine, but then to go back and use them later, with no visual reference is expecting a lot from this listener. I can't remember what a foreign word means 20 minutes of narrative later...especially when I haven't seen the word in written form. So I missed many of the meanings ascribed to the words later.